The decision by the Minister for Agriculture Simon Coveney to only accept 11,500 farmers into the second tranche of the GLAS scheme has come in for heavy criticism. Fianna Fáil Spokesperson on Agriculture Éamon Ó Cuív has called on Minister Simon Coveney to immediately allow all applicants for tranche 2 of the GLAS scheme into the programme. Deputy Ó Cuív said that Minister Coveney pledged that the annual spend on GLAS would be €250m – this will not now be achieved. “Last year, he forecast a spend of €20m and only achieved €11.5m. This year, the estimated spend is €142m, well behind the €250m target set. 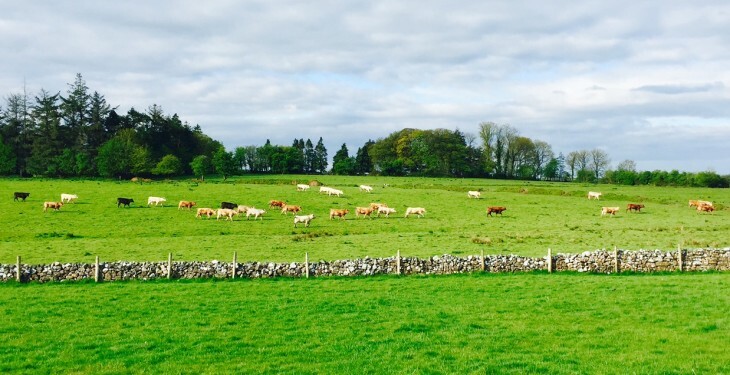 “We also know the average payment per farmer under tranche 1 will be €4,200, and that tranche 2 payments will be significantly reduced as a result of the new rules on Low Input Permanent Pasture and hedgerows. This is a far cry from the average payment of €5,000 promised by the Minister,” he said. According to Ó Cuív, the most recent figures reveal that only 8% of farmers are receiving the GLAS Plus top-up. “Despite this underspend and over-projection, Minister Coveney is still refusing to allow all valid applicants into the scheme, even though these farmers have paid out €500 on planners fees. “Before Christmas, the Minister indicated that he would accept 13,000 applicants into tranche 2 of the programme, now he appears to be reneging on that promise,” he said. IFA Rural Development Chairman Flor McCarthy has also criticised the Minister for Agriculture Simon Coveney for ruling 2,500 farmers out of the second phase of GLAS and backtracking on a commitment that he made at Budget time that at least 13,000 farmers would be allowed into the scheme. McCarthy said that with 11,500 farmers being accepted under Tier 1 and Tier 2, the exclusion of 2,500 farmers who are Tier 3 farmers is a major problem as many of these farmers are on low incomes. The agri-environment GLAS payment would be a significant part of the overall farm income and Minister Coveney’s decision to exclude them is totally unacceptable. The IFA Rural Development Chairman said that in the Rural Development Plan 2014-2020 it is envisioned that 50,000 farmers would join the GLAS scheme. “At this stage nearly 38,000 farmers will be in the scheme. Telling the 2,500 farmers that they can apply later in the year for the next phase of GLAS will result in these farmers getting no payment at all in 2016,” he said. McCarthy called on the Minister to reverse this decision and to allow all 14,000 farmers who applied in the first phase of GLAS into the scheme.